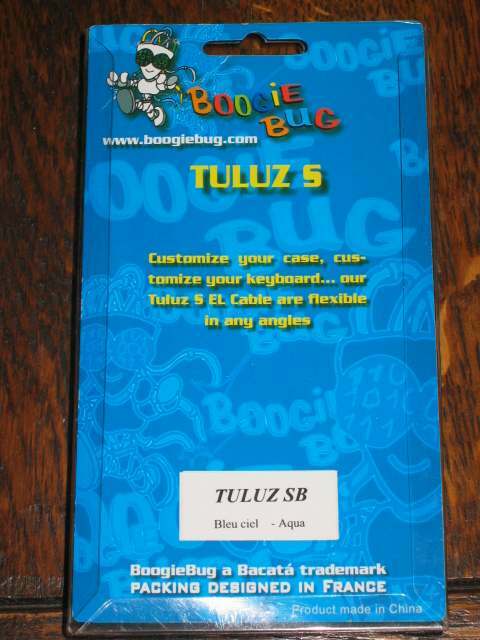 Maybe you're reading the name 'Boogie Bug Tuluz S' right now, and maybe you're thinking what the hell is this? 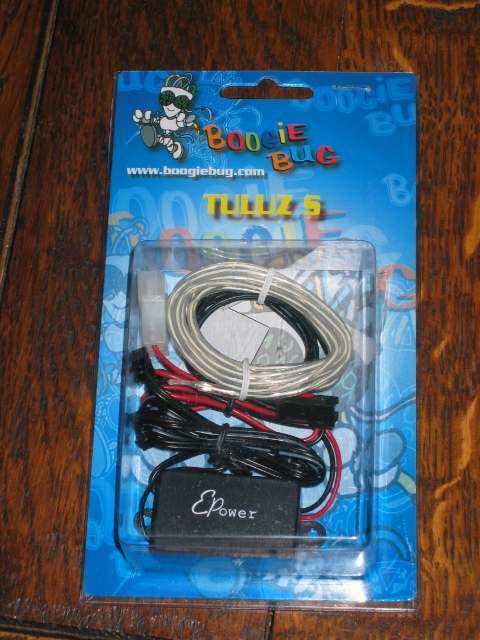 Well Boogie Bug is the company who produces the Tuluz S, and Tuluz S is nothing else than an exotic name for a Neon String. They are avaible in three colors : blue, red and green. 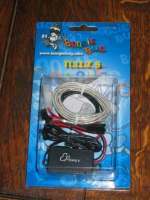 Here we have the package in which the Tuluz S arrived from Bacata. 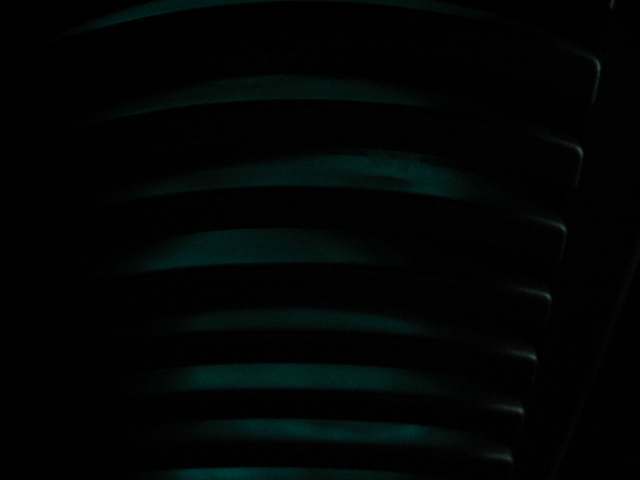 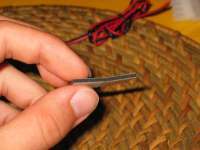 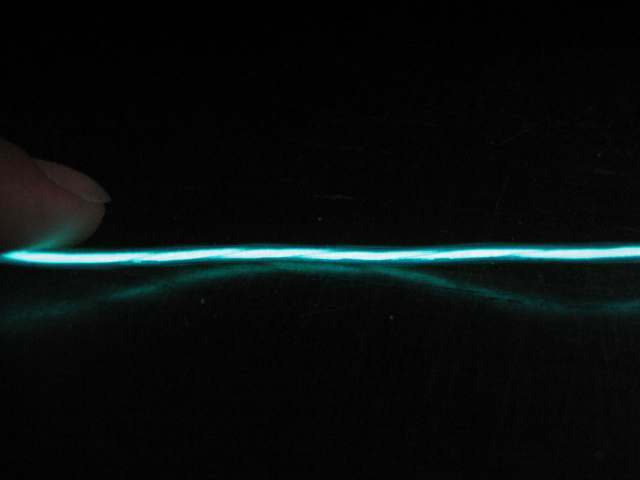 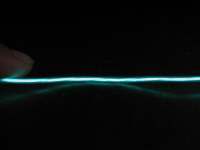 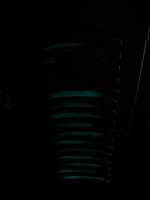 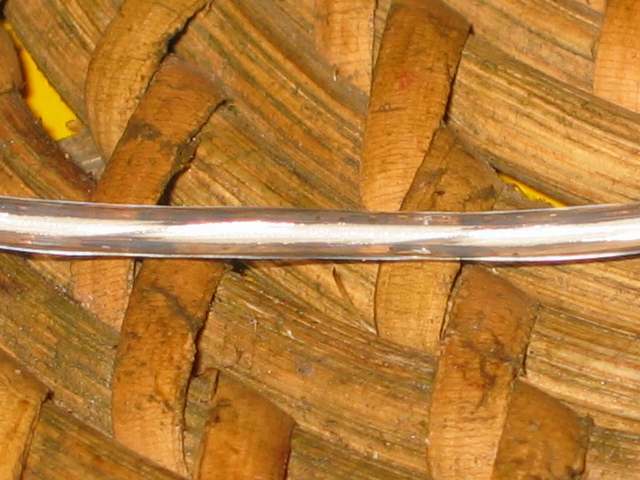 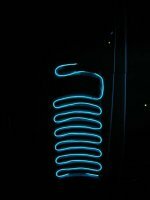 In it is the Neon string which has a aquablue colour, and his inverter. 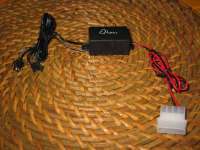 On the left we have the inverter and the neon string. 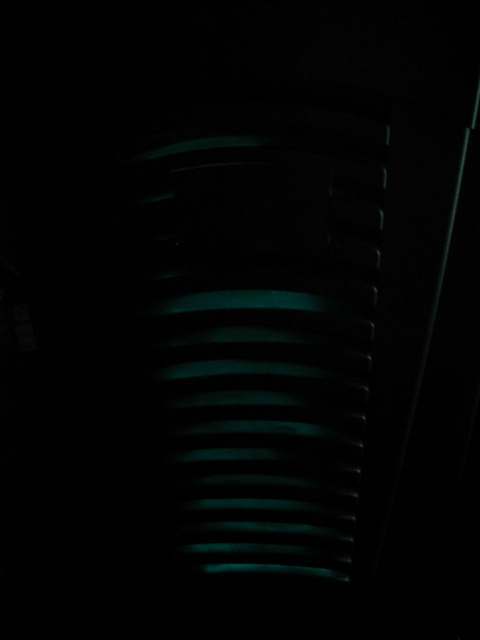 On the picture in the middle you can see the inverter. 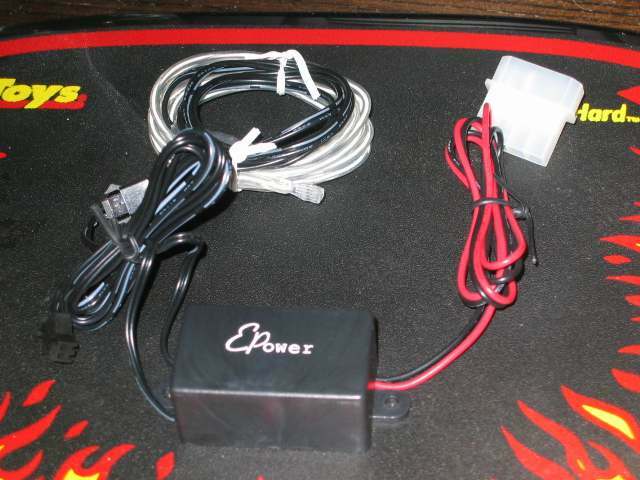 You can connect up to two neon string to it, but unfortunately it only has one Molex connector, and not a passtrough Molex connector. 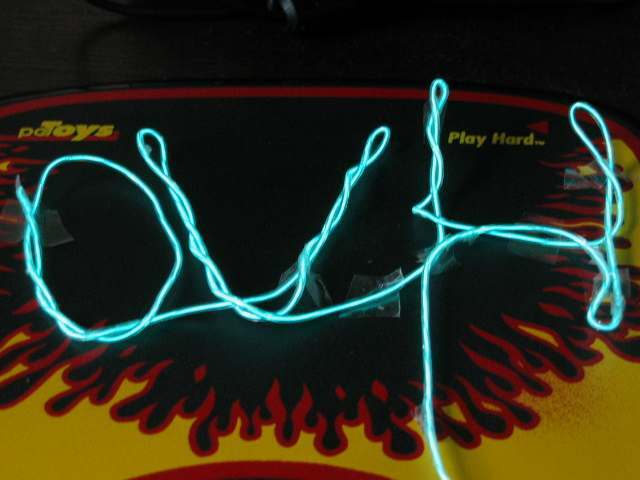 On the third picture you can see a snip of the Neon string. 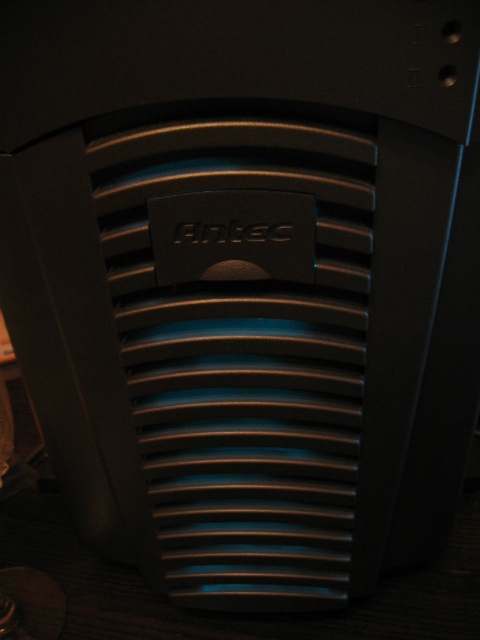 It's 1.5 meter long, and it has a protective plastic housing. 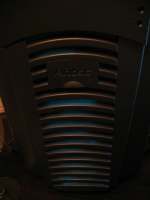 Also included in the package are two doubleside adhesive strips to mount the inverter in your case. Now here is the fun part where we start playing with the neon string kit! 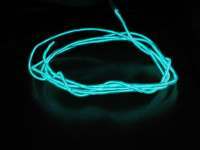 The neon string has a nice aquablue colour when powered on, and the wire is very flexible. 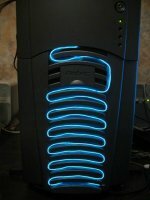 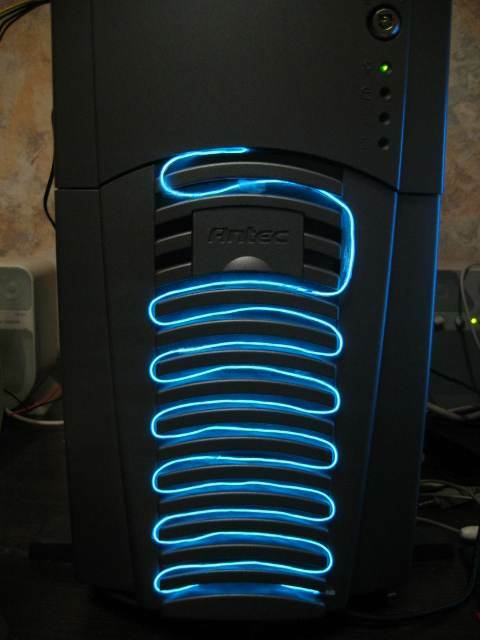 There are a lot of mods possible with Neon string, and one of the most popular is the Keyboard MOD where people put the Neon string between the keys of their keyboard so their keyboard starts to glow ;) But you can also use it for other things ofcourse, I put it in the front of my Antec PlusView AMG 1000 case. So I placed the Neon wire between the ribbles, this looks a lot better! 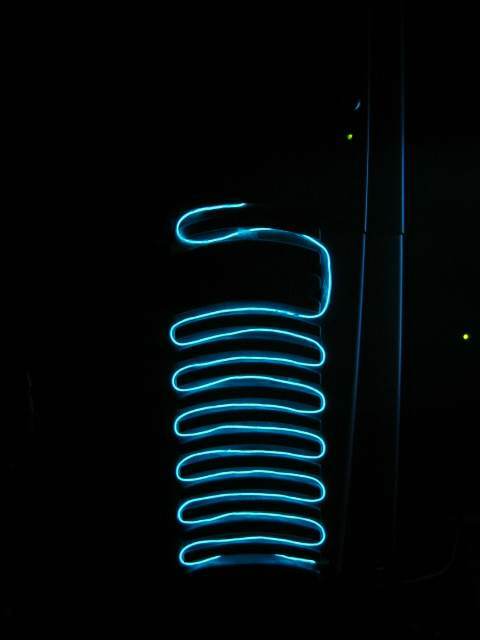 And to end a picture with the Neon wire forming the shortname of our site DVH!